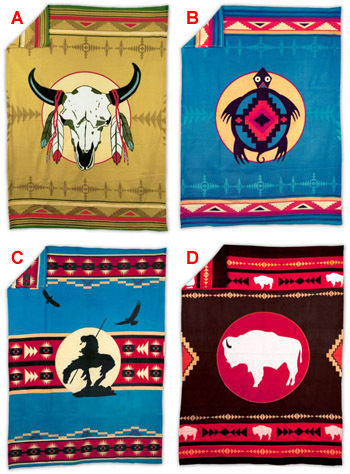 These beautiful 60" X 80" fleece blankets come in four traditional Native designs. Choose from Buffalo Skull, Turtle, End of the Trail, or White Buffalo. These will add a distinct Southwestern flair to your home decor or Powwow display. Style A, B & C are temporarily unavailable.